Before we get down to the serious business of relaxing into this beautiful day, do you need something to get you going, give you some ooomph? 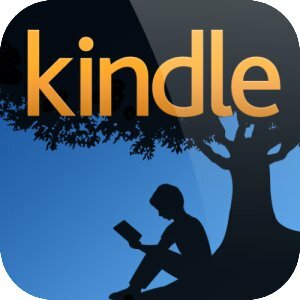 I just had a little scour of the Kindle books available for FREE right now, and this one jumped out at me. I can’t tell you much about it because I only just found it, and want you to know about it while it’s still FREE. Do check the price though by the time you go for it, never know how long the freebies are on for. 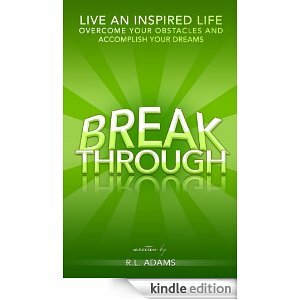 Breakthrough is a motivational and inspirational guide to help realign you with your goals in life. This little book from the Inspirational Books Series will help you live a more inspired life, overcome your obstacles and accomplish your dreams. This volume is the fourth installment from the Inspirational Books Series, by R.L. Adams, and the book was designed to help realign you with what’s most important in your life, and help you strive towards your own personal breakthroughs. A breakthrough is described as a sudden advance or a person’s first notable success, and in life, we are all clamoring for our own breakthroughs. Some are looking for breakthroughs in the area of their finances, others in the area of their health, and still others in the area of their relationships. But not matter what area of life you’re looking for a breakthrough in, you can achieve it by having a better understanding of why you do the things you do and how to break your old limiting behaviors. In life, there is so much to be grateful for, that if we were to stop, look, truly see, and truly listen to what’s going on around us in the world, we would be much more happier in life. The life that you have been given is a gift, and there are millions of people out there in this world that would do anything to have your life. It’s important to not take the things that you do have for granted, because there is so much pain and despair in the world and so many people living in complete lack of the basic necessities of life. There is so much famine, poverty, and addiction in the world, that you must be grateful for the things that you do have as opposed to harboring resentments for what you don’t have. Look not upon those who have more than you in life, but to those less fortunate and in the process, go about your life happily succeeding rather than succeeding to be happy. This little guide on breakthroughs will help to reinspire and reinvigorate you, pushing you towards your own breakthroughs, whatever those may be in your life. Uncover the secret to making the breakthroughs in your life today in this newest volume of the self help books and inspirational books from R.L. Adams.